Source: London Photos, a commercial photo library, has generously sharted this photograph with the Victorian Web, and copyright remains, of course, with them. Readers may wish to visit their site for many beautiful images of modern London. 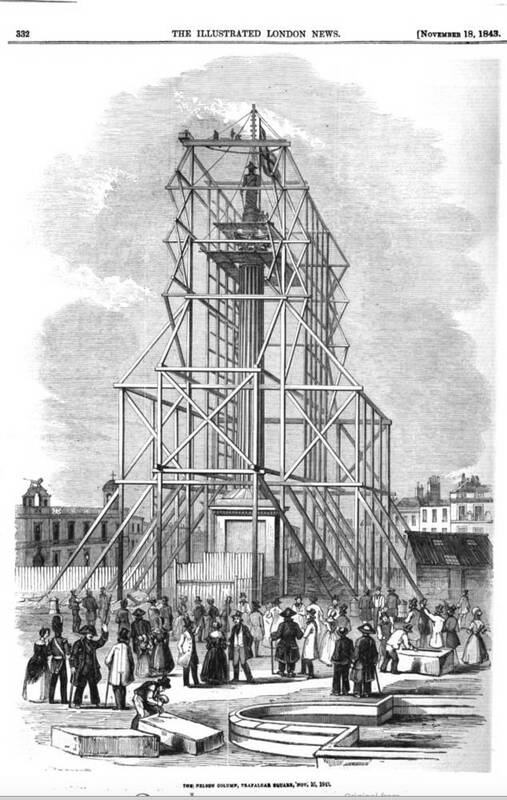 According to contemporary documents quoted on VictorianLondon.org, the monument has "the exact proportion of a column of the Corinthian temple of Mars Ultor at Rome: Mr. Railton choosing the Corinthian order from its being the most lofty and elegant in its proportions, and having never been used in England for this purpose. . . . The granite was brought from Foggin Tor, on the coast of Devon. . . . 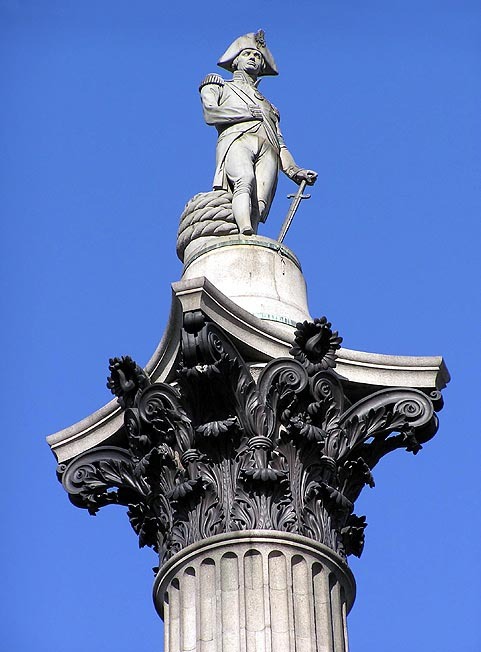 The capital is of bronze, and was cast from old ordnance in the Arsenal foundry at Woolwich, from full-sized models carefully prepared by C. H. Smith." 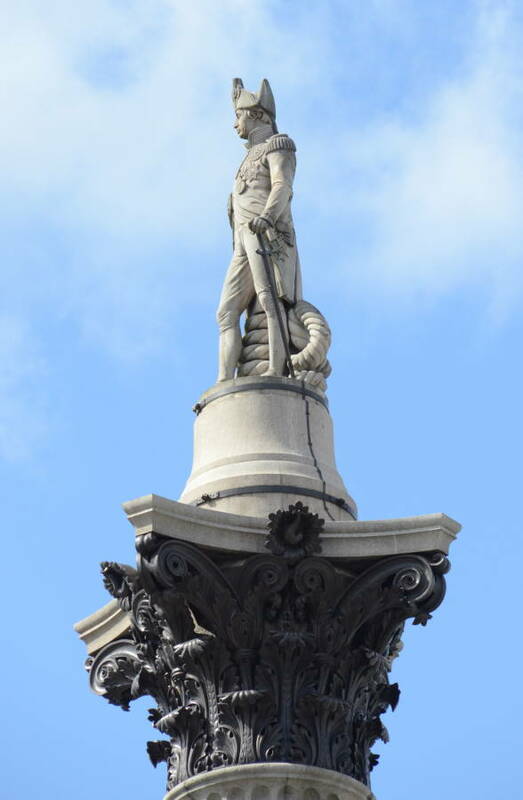 The base of the monument also has bronze bas reliefs by W. F. Woodington, C. E. Carew, "Mr Termouth," and "Watson." Landseer, the great animal painter, did the four large granite lions, which were added decades after the completion of the monument.